4 Celli. This innovative idea was thought up for the Bernard Greenhouse 90th birthday celebration in Greensboro NC in 2005. Again the Fitzenhagen version, all players get to play a few variations, in round robin fashion; the 3 cello accompaniment is shared among the other 3 players. Difficult. 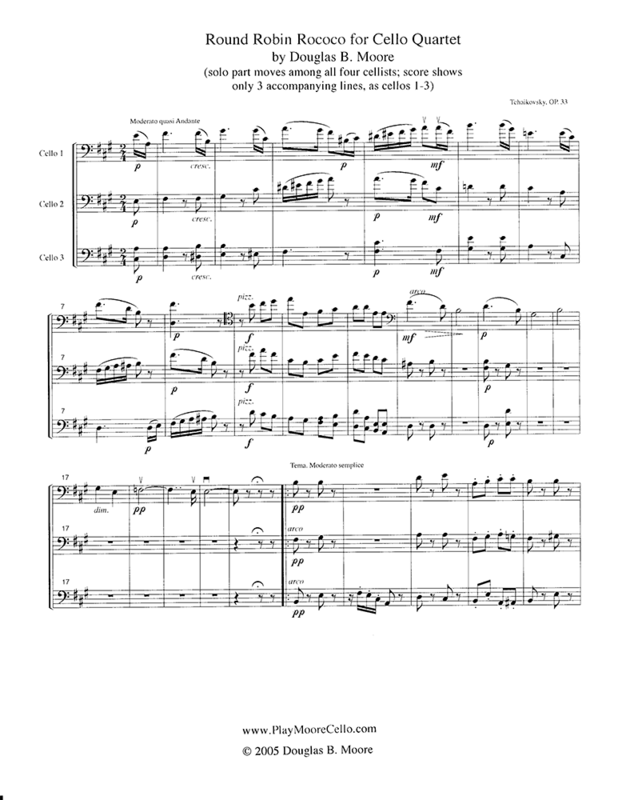 Score and 4 parts; solo part is not included. Recording is from initial theme.